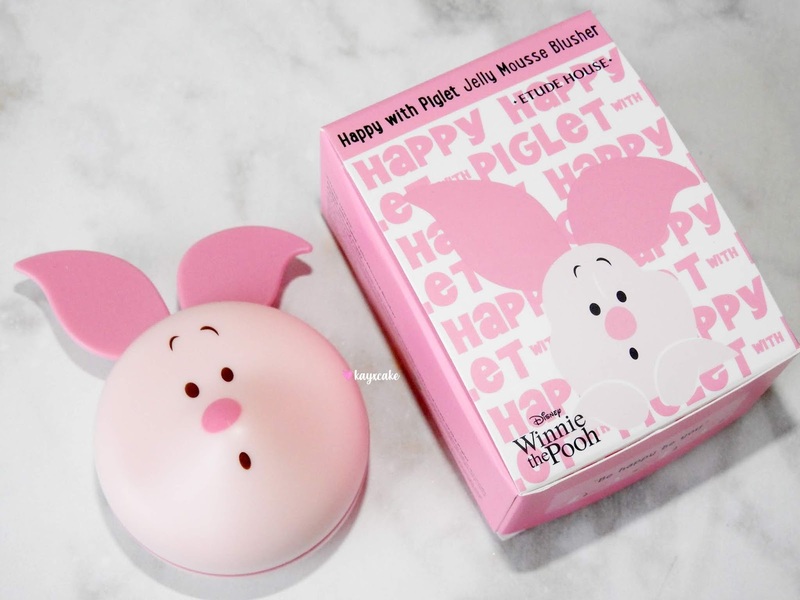 Today I am sharing with you a review / first impression of the Etude House Happy With Piglet collection. 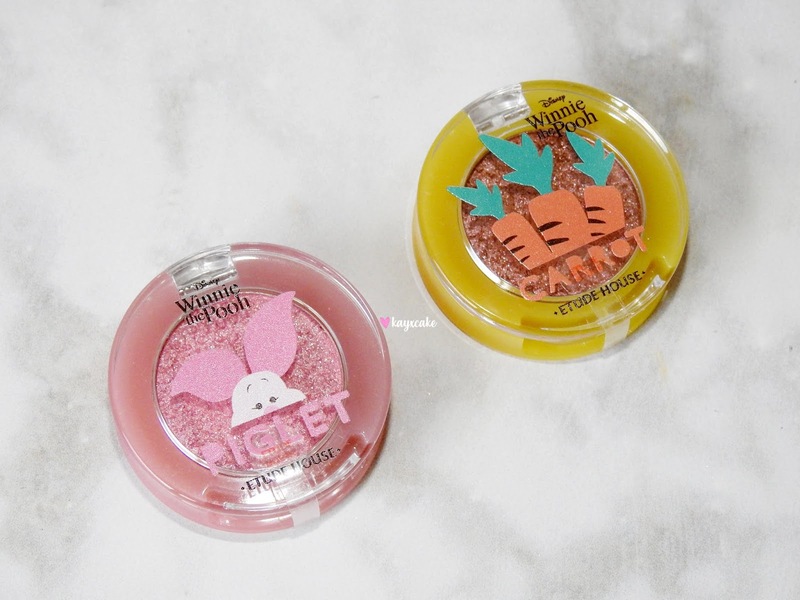 This is a collaboration between Etude House and Disney and it contains a wide range of products including eyeshadows, lip tints, primer, blusher, skincare sets and makeup tools. 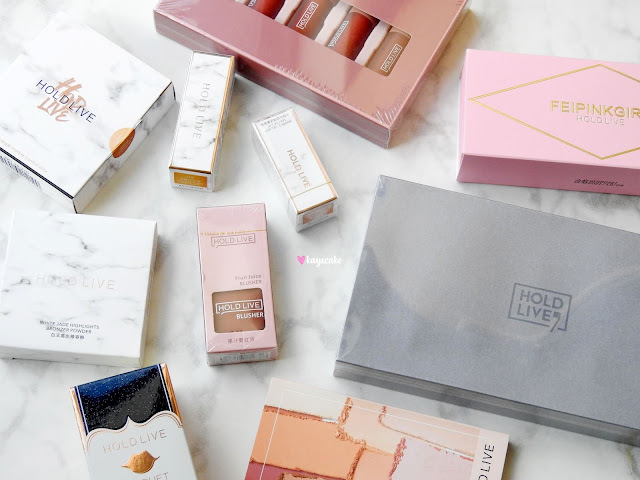 I am already using some of these products in my daily makeup routine and I absolutely love this collection! Everything from the product quality to the packaging is amazing. The piglet theme is totally adorable and worth buying as collective items. I bought two primers (Face Blur and Face Liquid Blur), two single eyeshadows (Look At My Eyes), one blusher (Jelly Mousse Blusher), one lip tint (Color In Liquid Lips Air Mousse) and one SoonJung Skincare Set. 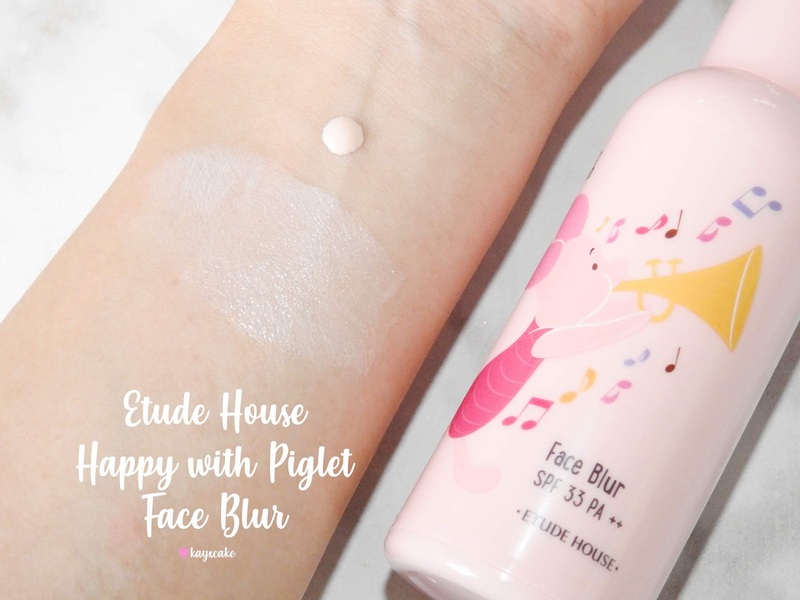 Etude House Happy With Piglet Face Blur is described as a light cream that provides multi-blurring effect for instant smooth, poreless and brightening skin. 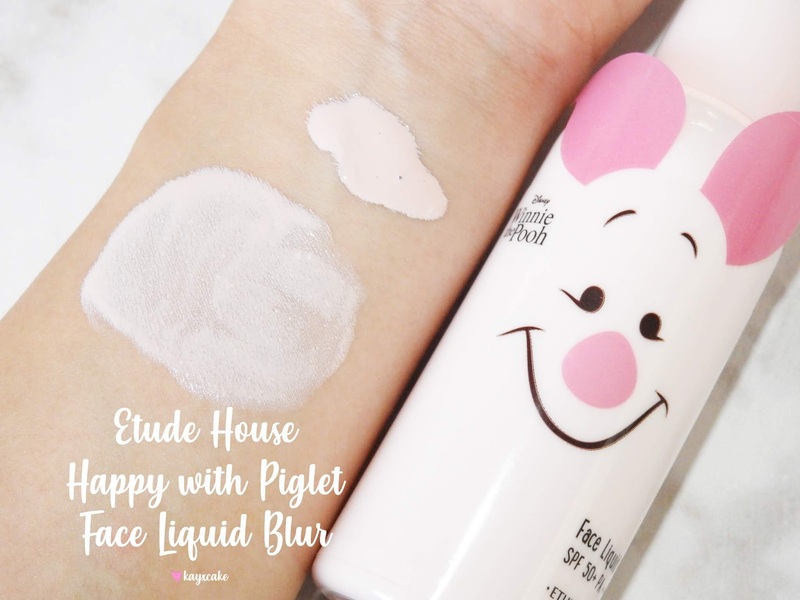 Etude House Happy With Piglet Face Liquid Blur is described as a liquid makeup base that brightens, blurs and smooth the skin. Both the Face Blur and the Face Liquid Blur works the same, they both live up to their smooth and brightening skin with blurring effect claims, they work well with all of my foundations and both of them keeps my makeup on all day. The only difference between the two is, Face Blur has a thicker texture and Face Liquid Blur is more watery. 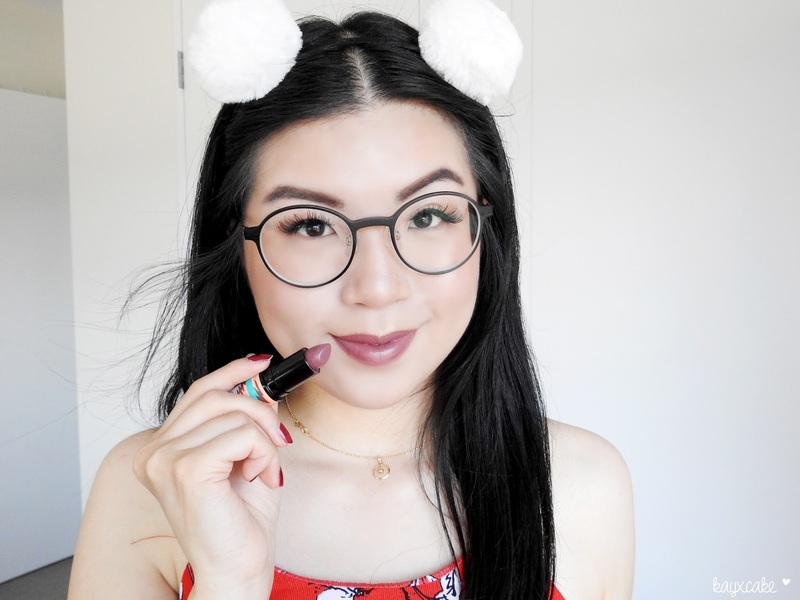 Etude House Face Blur used to be my all time favourite primer, I have mentioned it a few times on my blog, including my 2015 end of year beauty favourites. I love that it brightens up my complexion, it makes my skin looks poreless and absolutely flawless after foundation applications. 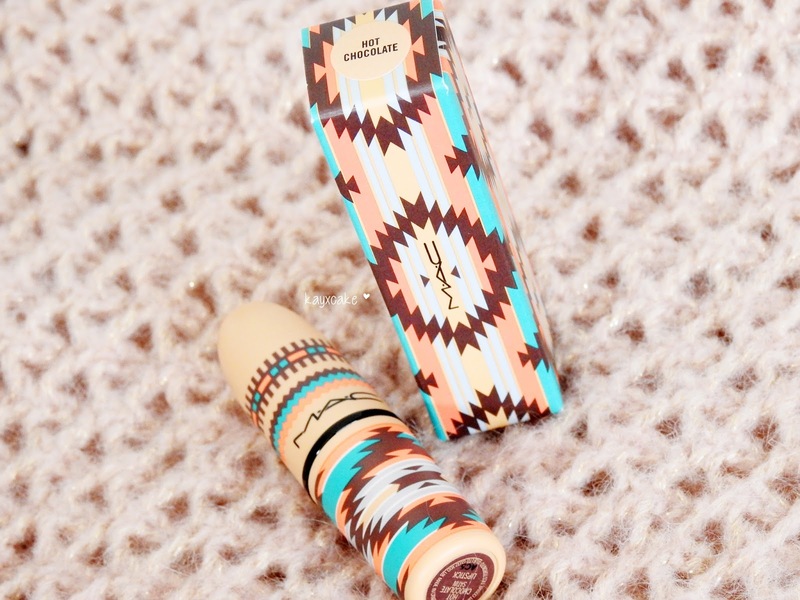 Although it has a thick, creamy texture, Face Blur blends like a dream! 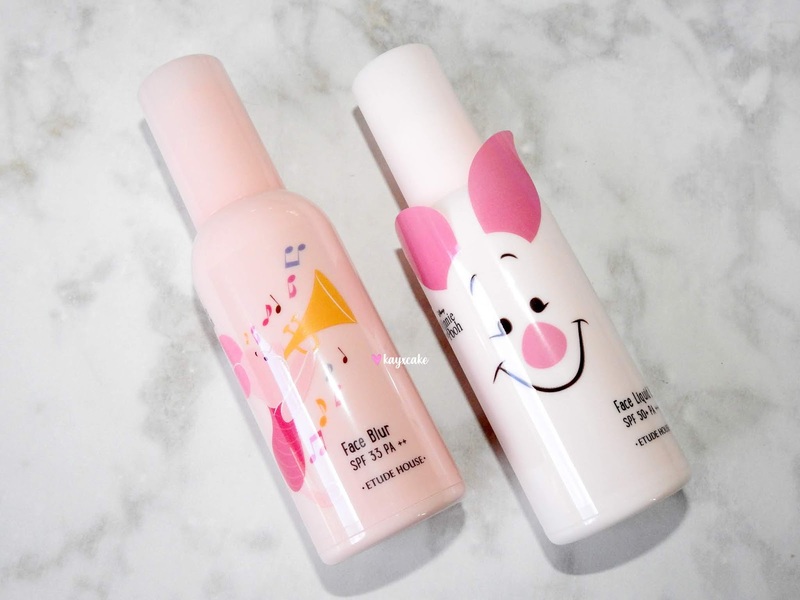 Comparing the two products, I must say that I am more a fan of the Face Liquid Blur. This is my first time using the liquid version and I love that it just melts into my skin, it makes my skin looks glowy, not oily. 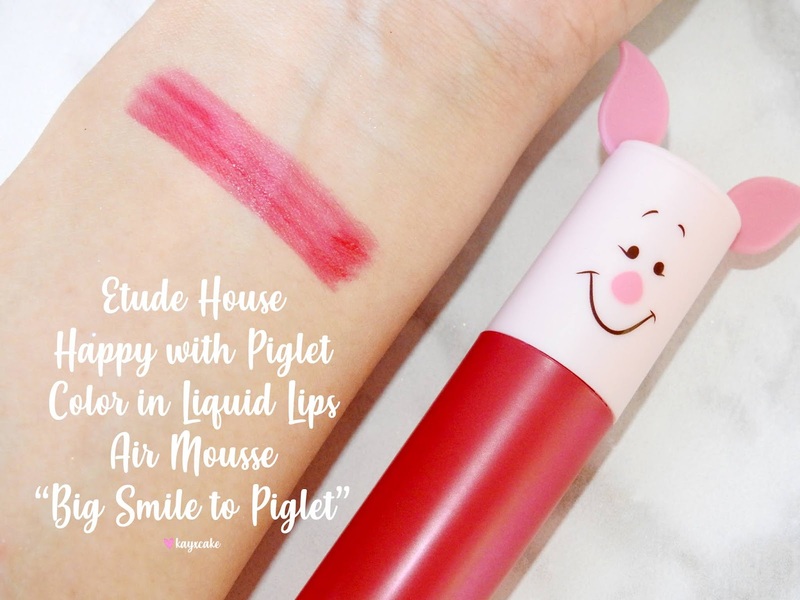 Etude House Happy With Piglet Color In Liquid Lips Air Mousse is described as a lip tint with a feather-light texture that will provide a silky finish. 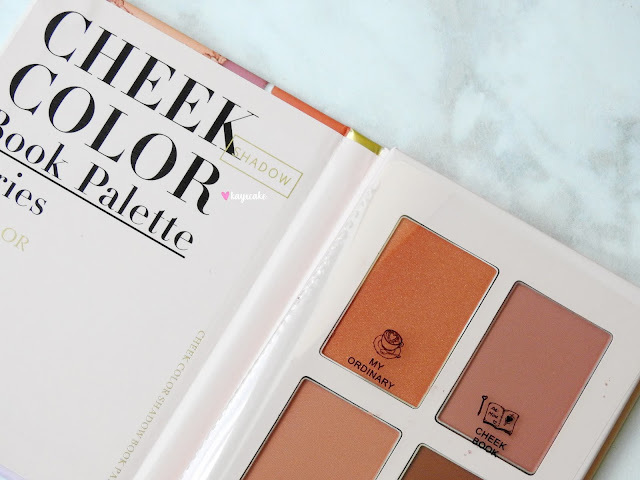 There are five shades available and I want them all! First of all, the packaging is SO ADORABLE! 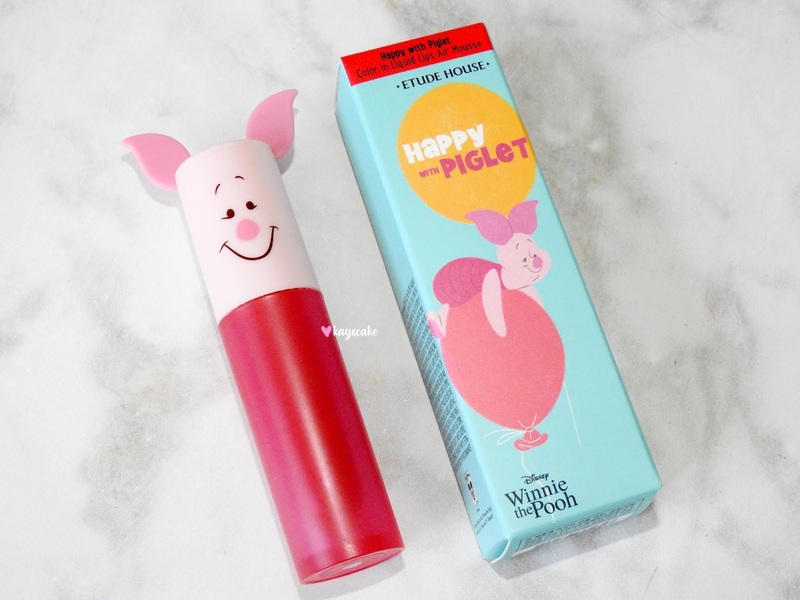 The lip tints features three piglets, one tiger and one Winnie-the-Pooh, each lip tint is designed with rubber ears sticking out and the colors range from red, orange to pink. 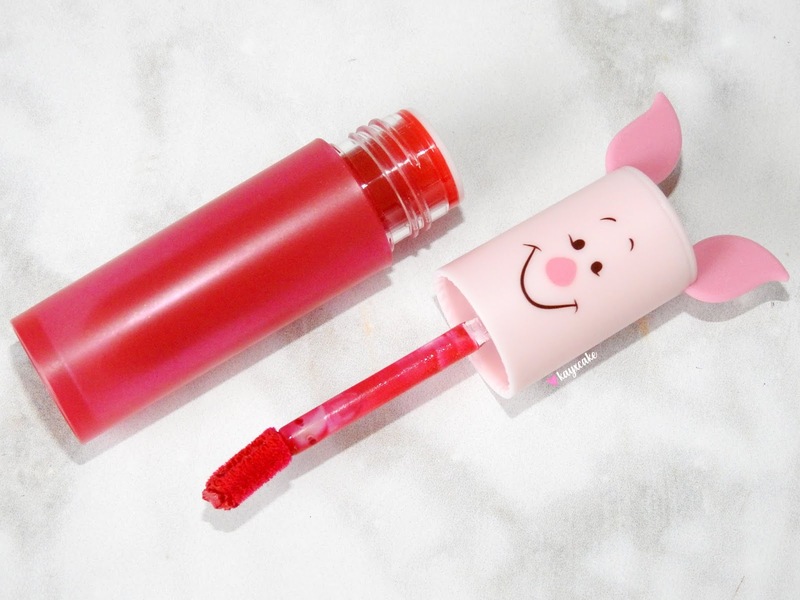 I bought the shade #09 Big Smile To Piglet and it's a bright berry pink. It has a very thin texture and lightweight formula that applies smoothly and evenly and it almost have an airy finish. 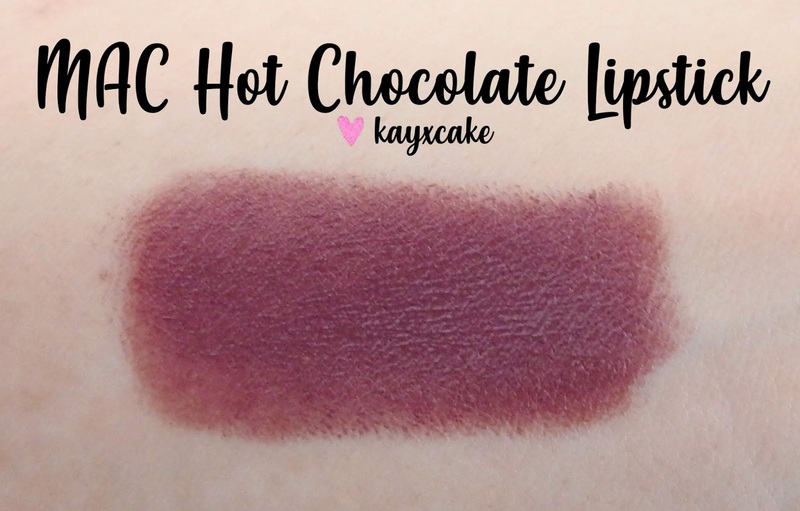 The color is pigmented, but it can be build up to your desire intensity and the stain effect lasted hours on the lips even after lunch or dinner. This one wore well on me for approximately six hours and if I don't re-apply, it will just leave a rosy pink stain throughout the day. 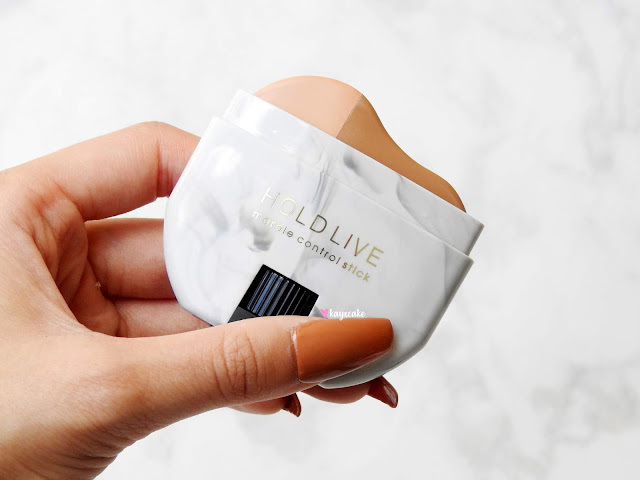 Although the formula dries down quickly, it does still transfer to cups within the first two hours of application and it is a little bit drying during wear. 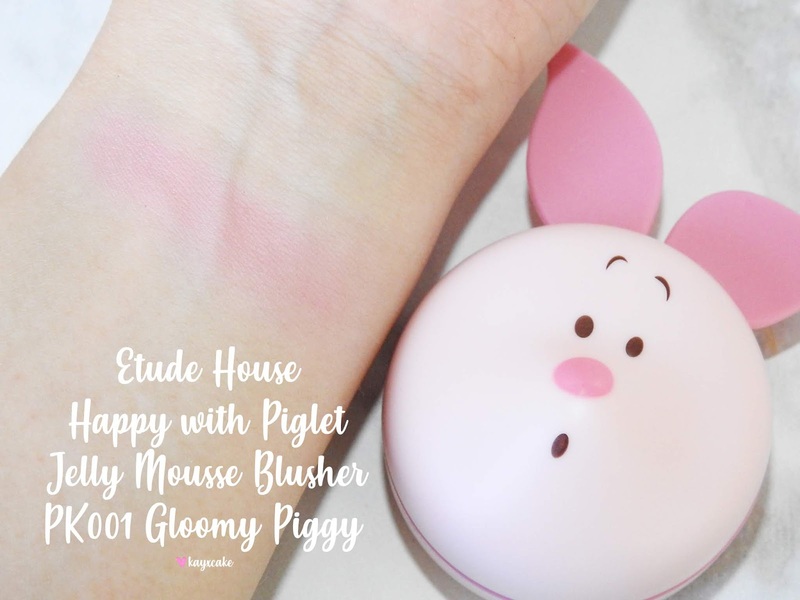 Etude House Happy With Piglet Jelly Mousse Blusher is described as a lightweight cushion jelly mousse blush that provides a soft and bendable finish. 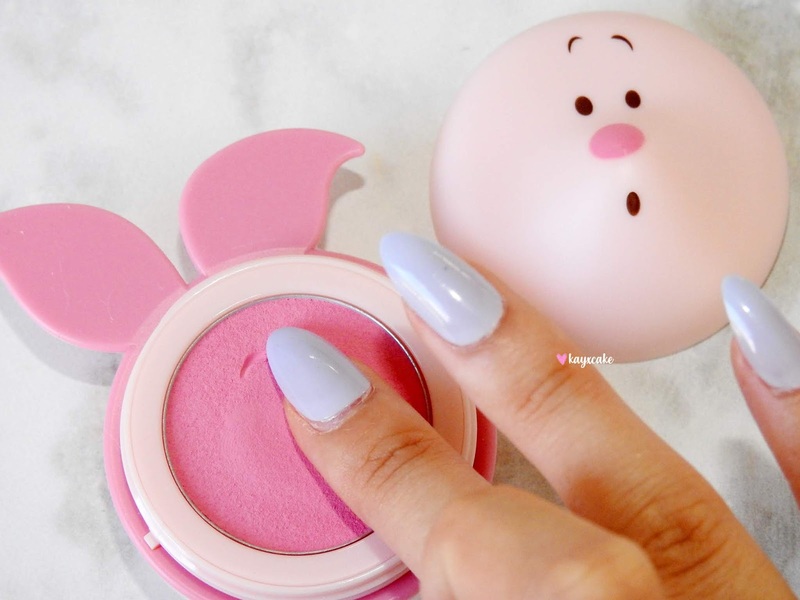 I was never a fan of cream blushes, from memories they are very pigmented and hard to blend, therefore, I tried to stay as far away from them as I can; but I HAD TO get the Happy With Piglet Jelly Mousse Blusher because of the packaging! 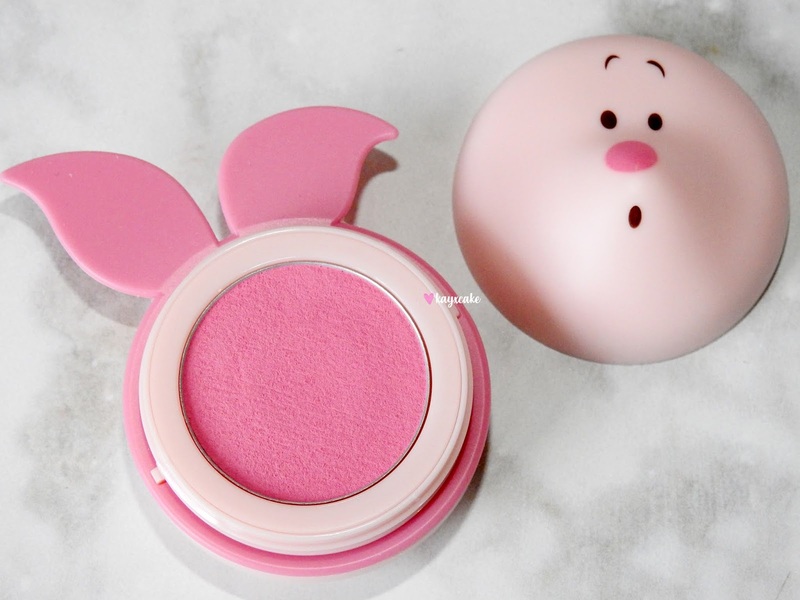 Surprisingly, I LOVE THIS BLUSH! 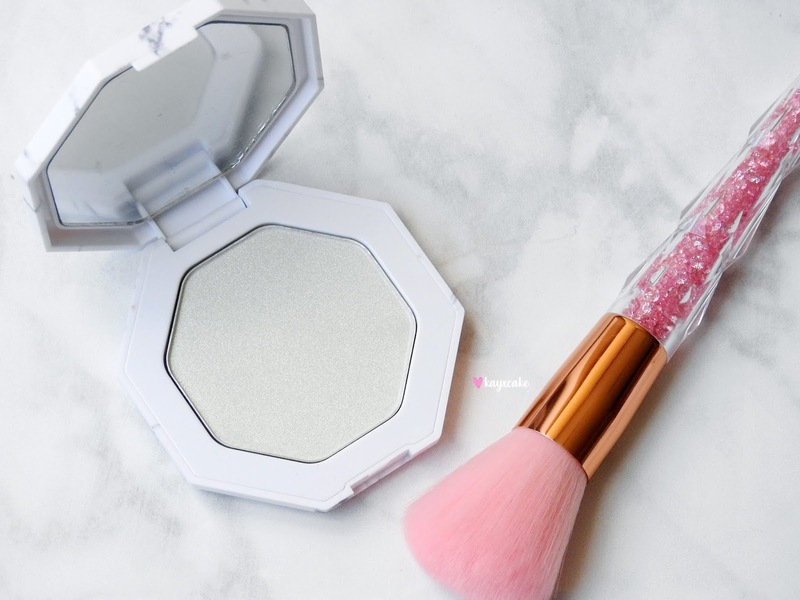 I apply this blush mostly with my fingers and I have also tried it with a blush brush, both blends like a dream! 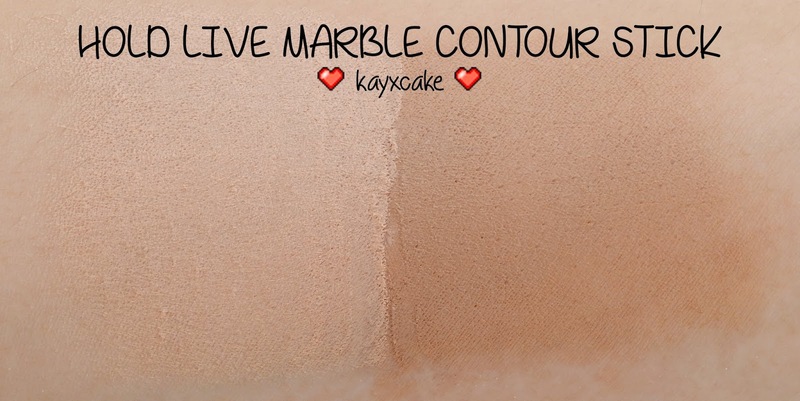 The texture is lightweight, the pigmentation is sheer, but buildable and most importantly, it is SO EASY to apply! There are five shades available, featuring four piglets and one Winnie-the-Pooh. I have the shade PK001 Gloomy Piggy and it gives me that natural flushed look that wears for hours. 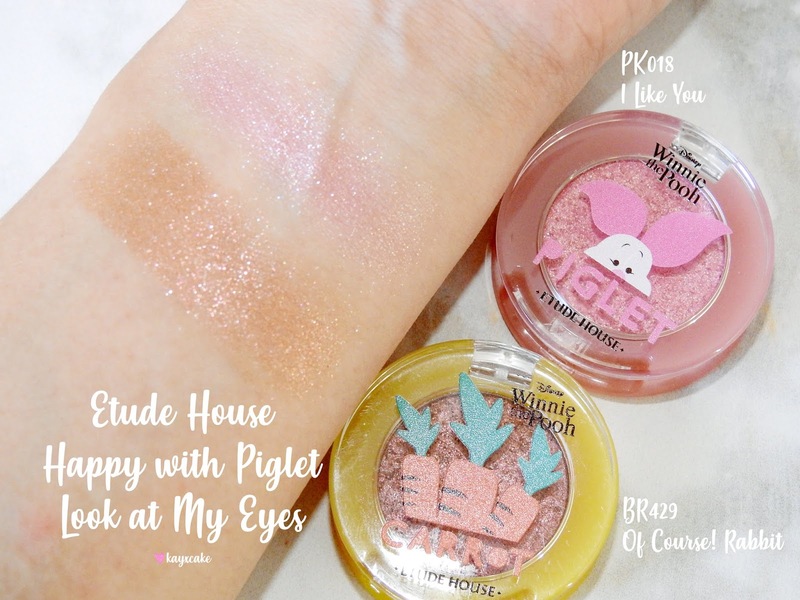 Etude House Happy With Piglet Look At My Eyes are single eyeshadows that I assume every makeup junkie is familiar with. 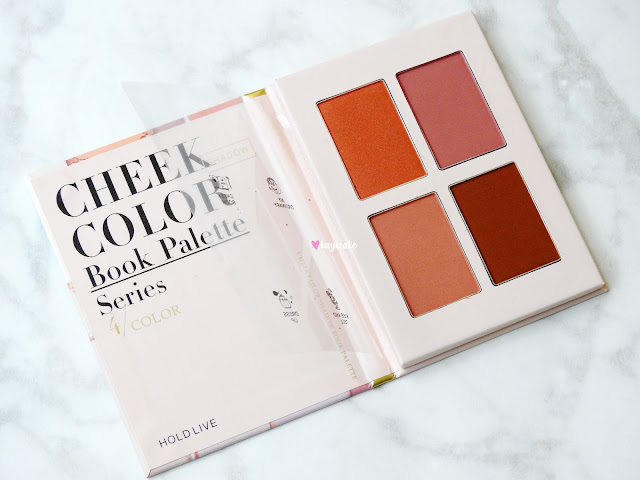 With this collection, they have released a total of ten shades, including seven sparkling ones that can be used as eyeshadow toppers and three normal ones that can be used as base or crease. I have the shades PK018 I Like You and BR429 Of Course! Rabbit, I use them both as eyeshadow toppers and I use the BR429 on a daily basis. 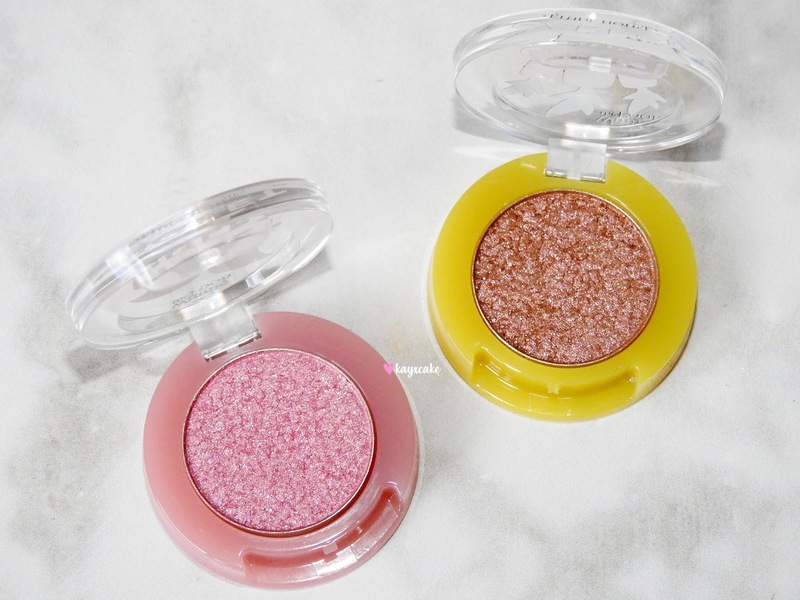 I dab the eyeshadows on my lid with my fingers, it's quick and easy, it's sparkling, but it's not over the top and the sparkles literally stays on all day and I am talking about 12 hours long! These are absolutely gorgeous and the staying power is amazing. 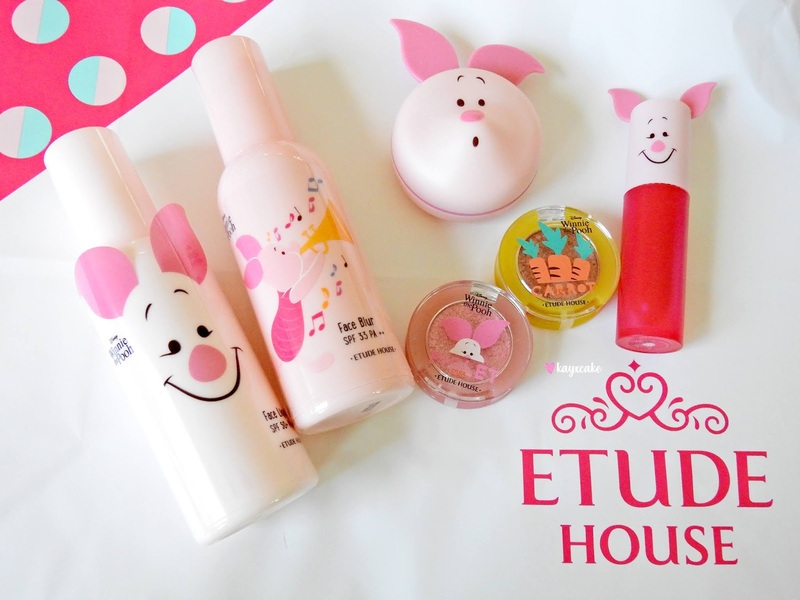 Etude House Happy With Piglet SoonJung Skincare Set is designed for sensitive skin. There is already a whole line of SoonJung Skincare from Etude House, I heard that it's really popular amongst Korean skincare junkies, every review I have come across recommends the toner and the moisturiser and with such cute packaging, I decided to try it myself. 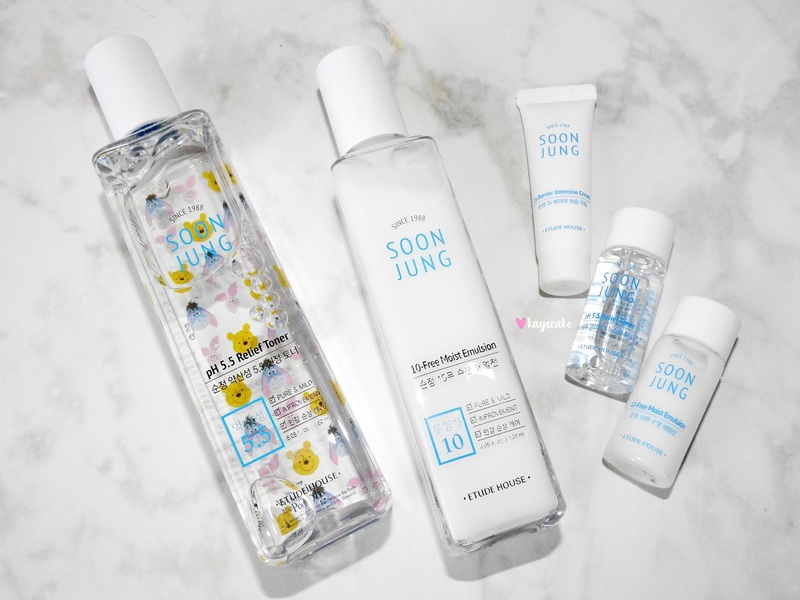 The SoonJung Skincare Set contains five products, one 180ml of pH 5.5 Relief Toner that aims to soothes heated skin caused by external stimulation, one sample sized 15ml of the toner, one 120ml of 1-Free Moist Emulsion that aims to delivers moisture to skin quickly, one sample sized 15ml of the moisturiser and one 2x Barrier Intensive Cream that aims to strengthen skin's resistance with protein barrier. It's been a long time since I last shared with you a MAC Cosmetics review or haul and part of me admit that I am disappointed in most of the limited edition collections the brand has released in 2017 and 2018. 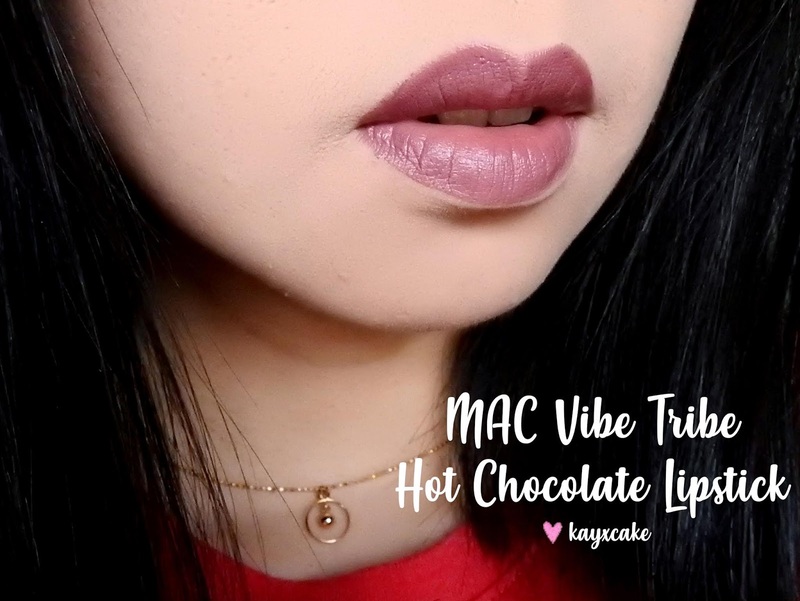 Despite being disappointed, it is still my favourite brand of all time and today I will be sharing with you a review of a lipstick from an old collection, the MAC Vibe Tribe Collection. 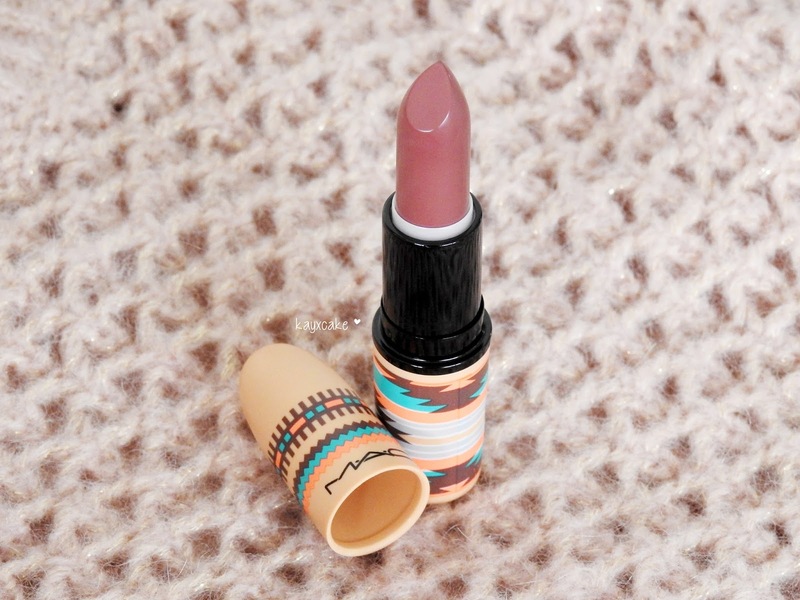 The lipstick I am reviewing today is MAC Hot Chocolate from the MAC Vibe Tribe Collection. This collection was launched in 2016 and according to the brand, the whole idea of the collection was inspired by arts and outdoor music festivals. 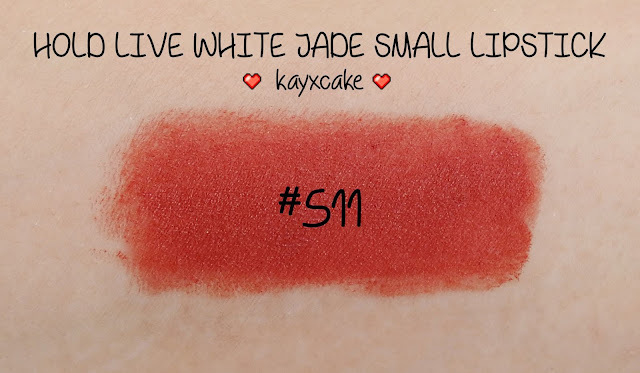 I have read some articles about the controversy of this collection, I have heard people were very upset with the whole vibe tribe theme and I don't want to offend anyone, but I have been wearing this lipstick for the past few weeks and I won't lie, I absolutely love the colour and the formula, therefore, I have decided to go ahead with this review and share with you my thoughts and swatches. 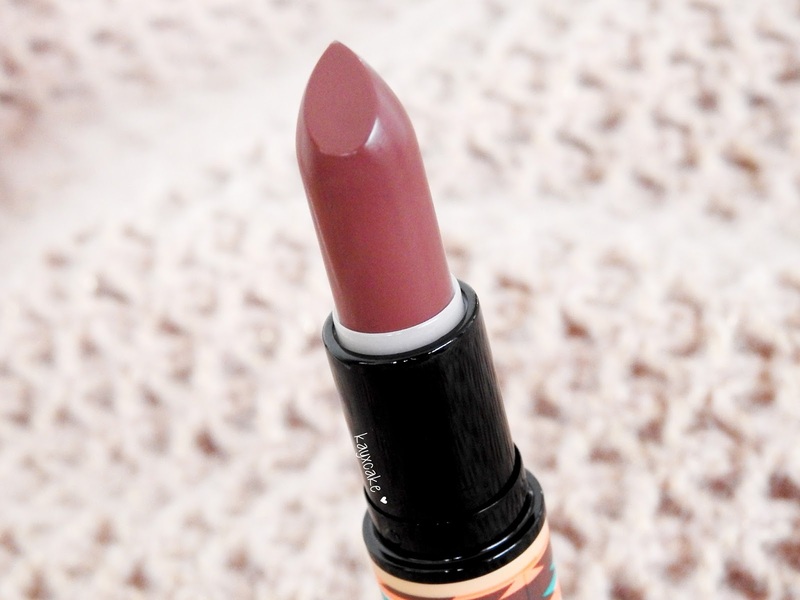 MAC Hot Chocolate Lipstick is a rosy plum with a satin finish. The texture is so creamy and application goes on smoothly and evenly with an opaque pigmentation. 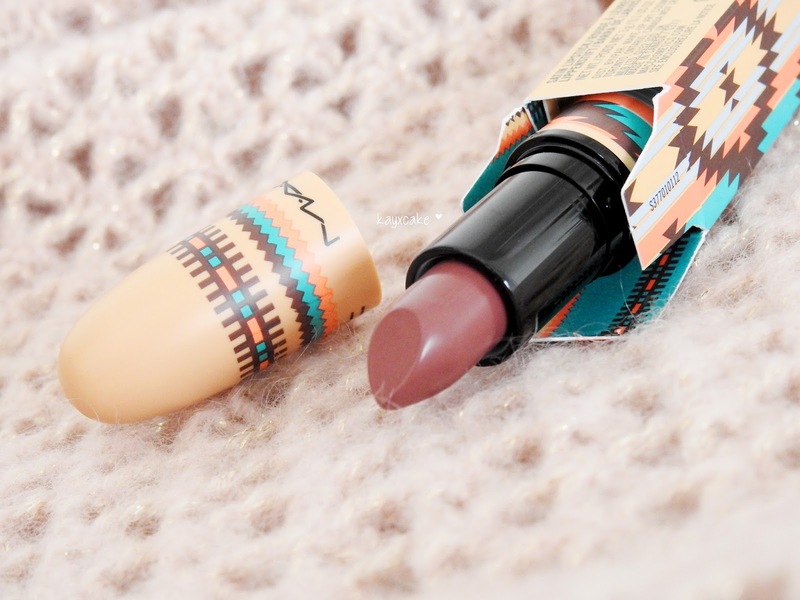 I haven't used MAC lipsticks in a very long time and when I decided to clear my drafts and review this, I gave it at least two weeks to try out this lipstick and I just fell in love again! 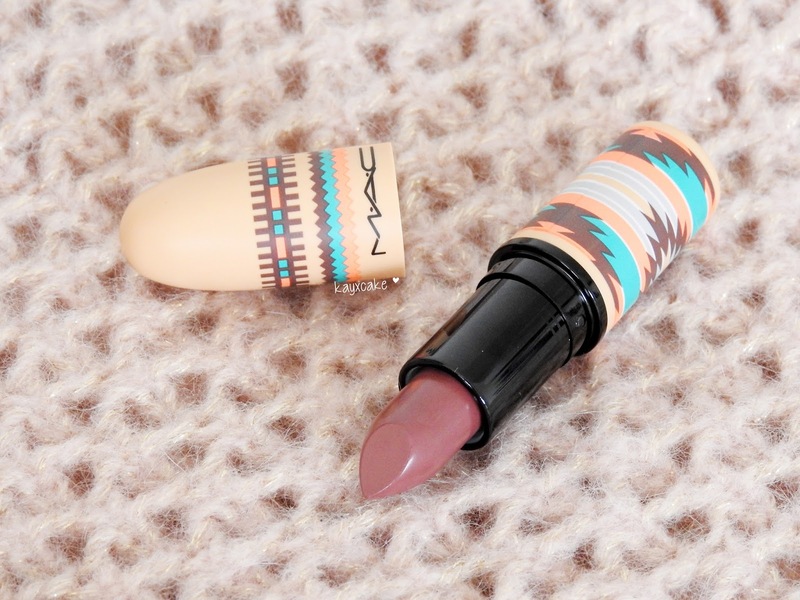 The formula, the color, the scent and everything reminds me of why I love MAC so much, hehe. Usually I am not a fan of purple shades lipsticks, but I definitely see my style changing as I grew older. MAC Hot Chocolate Lipstick is like a deep plum with a bit of rosy-ness, it's suitable for daily wear to work, but it does make my teeth looks a little bit yellow. The wear time for this lipstick is approximately five hours and I only had to re-apply once during the day. 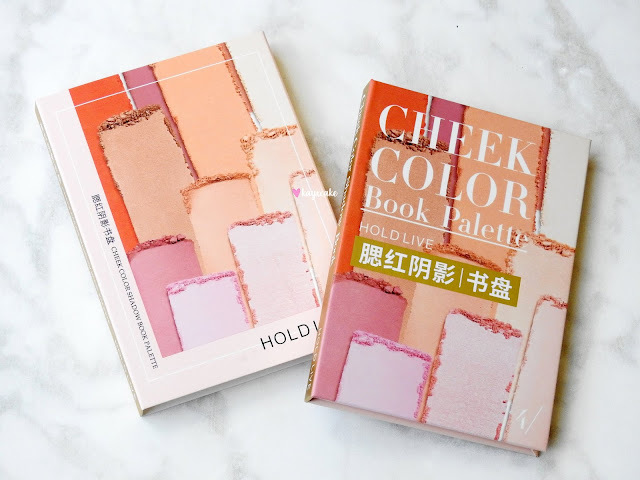 Today I am sharing with you a first impression of a makeup brand that I have recently tested, this is my first time trying out this brand, so it's totally new to me. 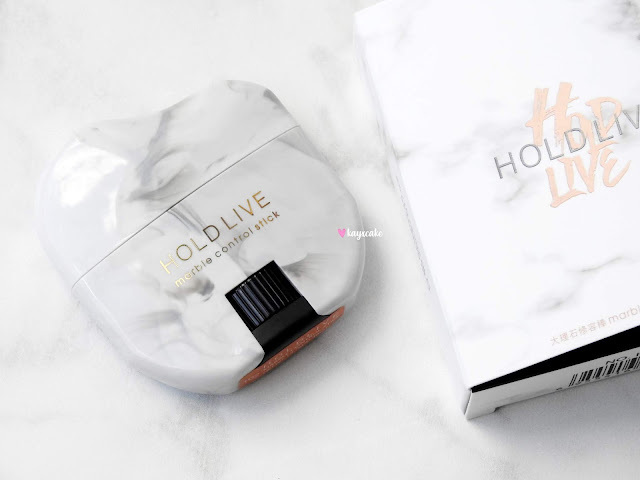 The brand is called Hold Live Cosmetics and it is a Chinese makeup brand. 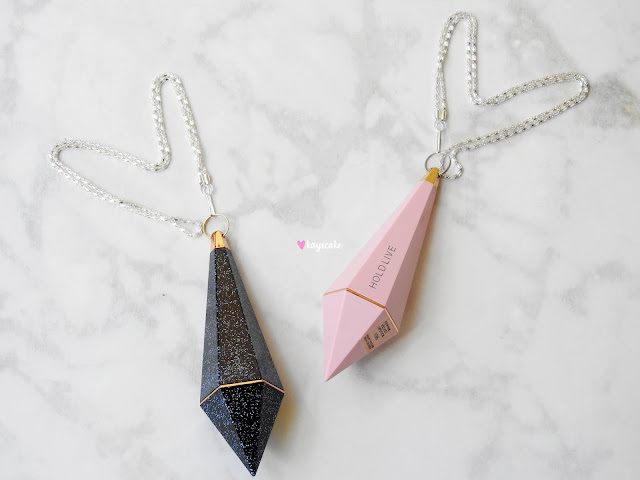 I purchased all products shown in this post from Taobao and I used the parcel forwarding service *Superbuy to ship everything to me in New Zealand. Some of you may have heard of Superbuy from YouTube beauty gurus, but for those of you that aren't familiar, Superbuy is a parcel forwarding service based in mainland China that helps delivers stuff you bought in China to your destination country. 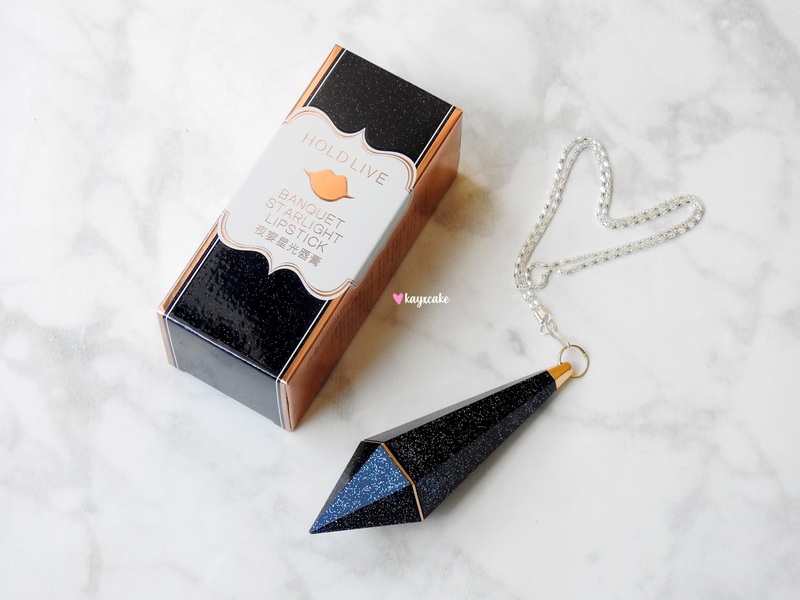 They also offers a shopping agent service that buys products from Taobao on behalf of you. Think of it as a Chinese version of Shipito. Ever since New Zealand Post cancelled YouShop China, I have been using Superbuy. Their customer service is always amazing, quick to respond to your queries, they packaged your parcels really well, I never get charged at customs and my parcels always arrived in the time framed given. Anyways, let's start with my first impression. I am so excited to share with you my thoughts on some of these products! HOLD LIVE FEIPINK VELVET LIPSTICK is also known as the Pink Diamond Lipstick, it is available in six shades and lipstick comes packaged in a pink diamond-shaped casing. 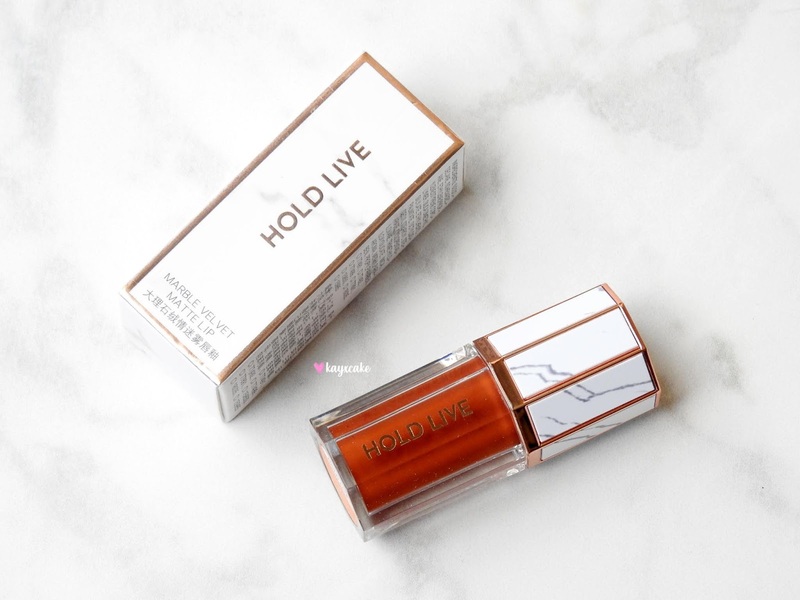 The formula is described as creamy and smooth, it claims to be long-wearing and hydrating during use. 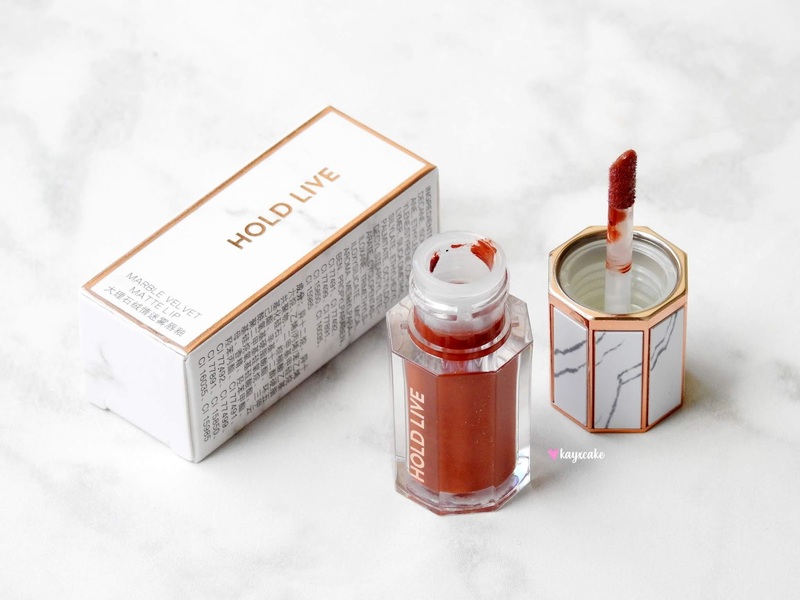 HOLD LIVE BANQUET STARLIGHT LIPSTICK is available in six shades and the lipstick comes packaged in a similar packaging to the FeiPink Velvet Lipstick, except that it comes in a starry night glitter colour instead. 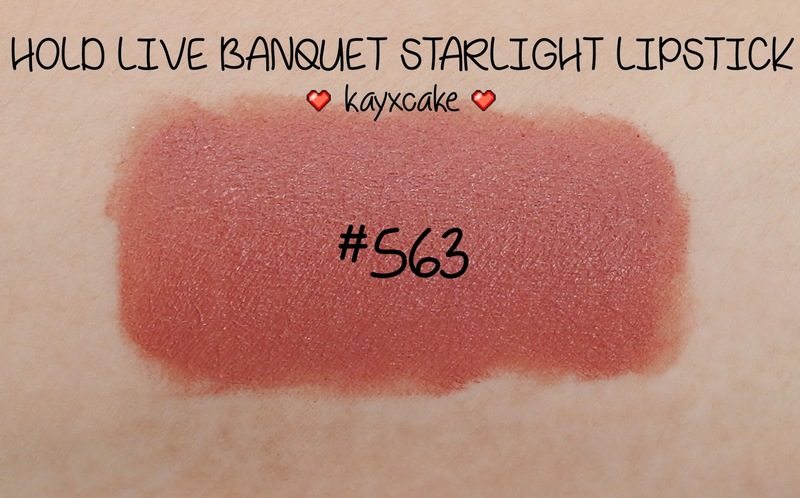 The formula is described as creamy, pigmented and long-wearing. I like both packaging of the FeiPink Velvet Lipstick and the Banquet Starlight Lipstick, one is pink and girly and the other looks quite elegant. 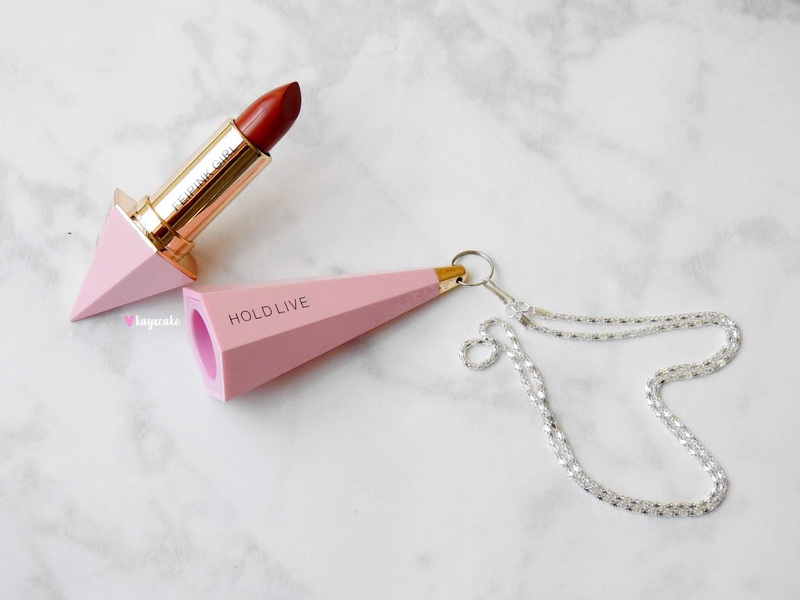 Both have a silver chain attached to the tube and you can wear the lipstick as a necklace, which I assume they took inspiration from Christian Louboutin. While they are fun and pretty to look at, I do find them quite bulky to carry around. HOLD LIVE CHEEK COLOR BOOK PALETTE is available in five themes and each palette comes in four shades. 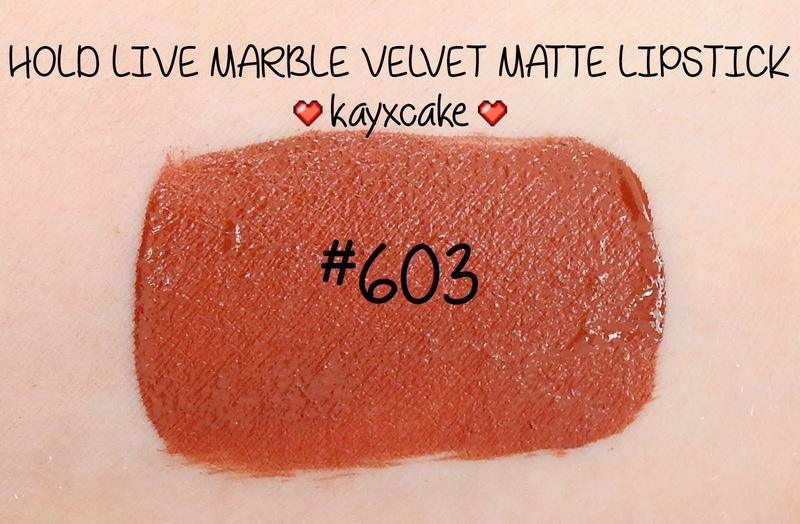 The one I bought is #205 and it consist of mauvey, orangey and brown shades that are more suitable for autumn and winter. The brand has described the palette as high pigmentation that blends easily and smoothly. HOLD LIVE WHITE JADE HIGHLIGHTS has the prettiest marble packaging and with every order they gift you a pink makeup brush that is super girly. The highlighter is available in four shades and I bought #901 which is called the Moonlight Goddess and it is suggested for all skin types. 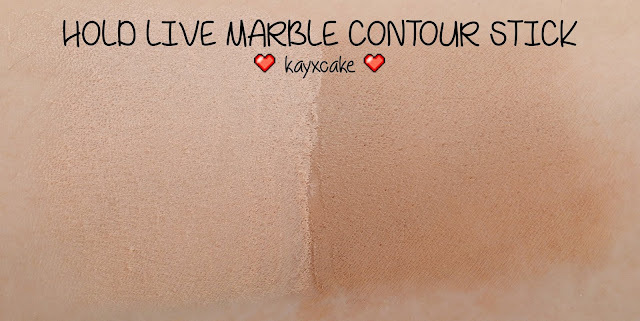 HOLD LIVE MARBLE CONTOUR STICK or a control stick as they call it is designed to be an easy to use, swipe and go product. Each one contains two shades, a darker contour and a lighter one and it claims to be water-proof, sweat-proof and long wearing. 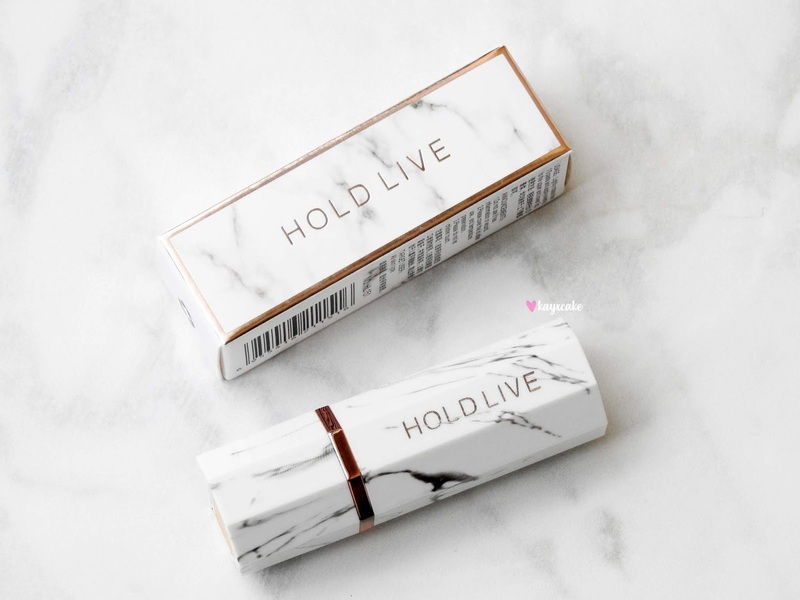 I have always been afraid of contour sticks as they takes forever to blend out, but I have been trying this one from Hold Live for a week now and I love that the formula is so creamy and it blends out easily. I am not a huge fan of the lighter shade though as I feel like it blends out really chalky on my skin, but the darker shade has been amazing! The darker shade is pigmented, but it blends out smoothly and it doesn't make my face looks muddy. It's long wearing and it feels lightweight on the skin. HOLD LIVE FRUIT JUICE BLUSHER is available in four shades and it is described as a long wearing liquid blusher that blends effortlessly with a fresh fruity scent. 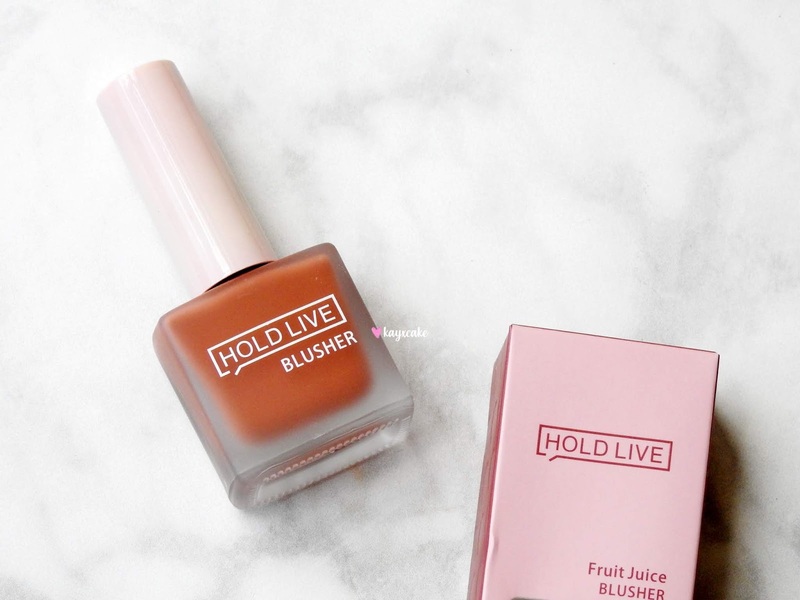 Liquid blusher is also another makeup products that I would always avoid because they often dries too fast for me to blend and it would end up looking like a stain, and then I would try to fix the problem, but I always make it worst, so to me, liquid blusher is a scary thing. Although I am no fan of liquid blusher, I still love buying it, I am not sure why, maybe they're just really pretty to look at and they're affordable, so I buy it. 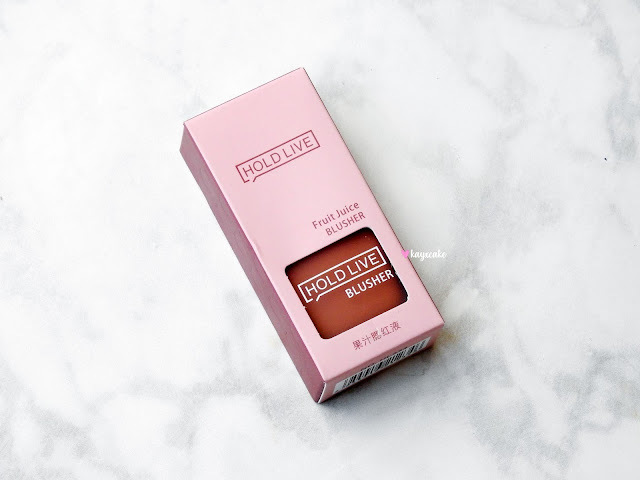 I have been trying the Fruit Juice Blusher for a week now and I can't believe I am saying this, but I have been absolutely loving this blush! 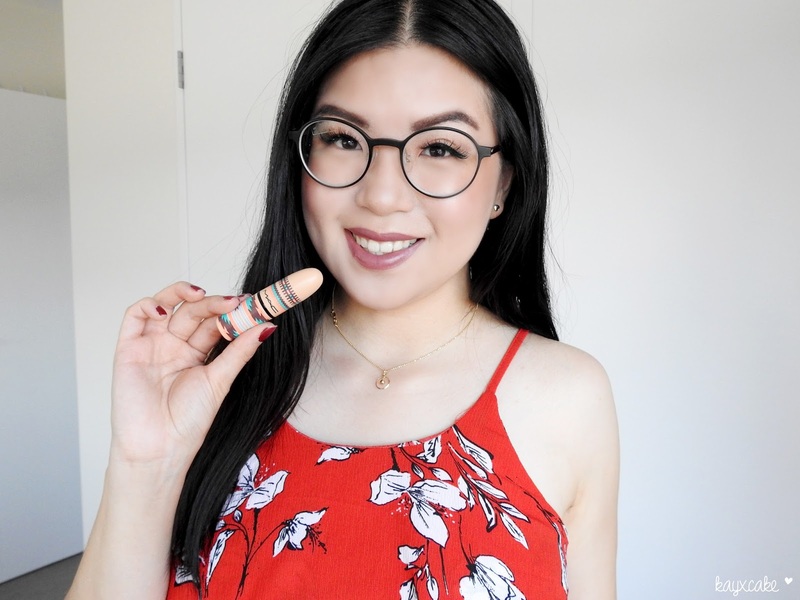 The color is pigmented when I first dotted it on my face, but when I blend it out with either my fingers or a makeup sponge, the color becomes sheer and it looks very natural on my skin. 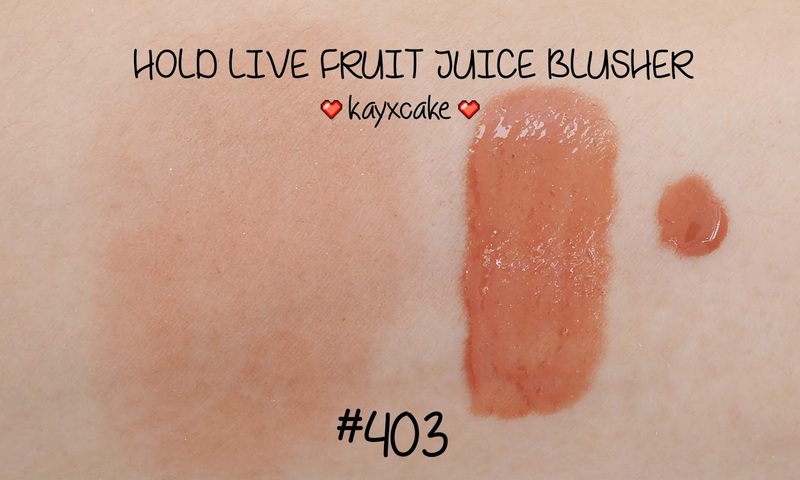 The shade I bought, #403 is one of their best-selling color and it claims to be a dupe for A'Pieu's Juicy-Pang Water Blusher in shade BE01. HOLD LIVE WHITE JADE SMALL LIPSTICK is described as a lip colour with rich and silky texture. It has a great pigmentation and it wears for long hours. It is available in six shades and I bought the color #511 which is a rosy-red. 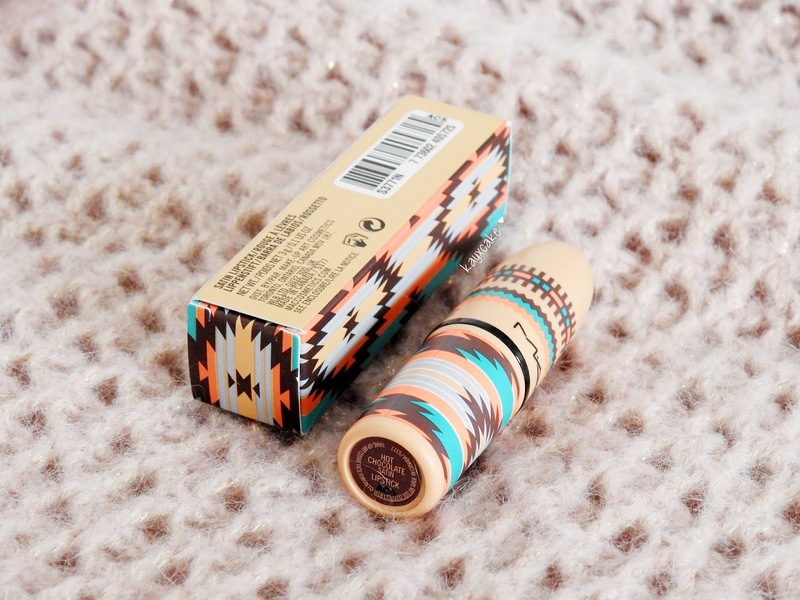 I have used this lipstick once and I like that it's long wearing and moisturising during wear. The color is more suited for autumn and the colder season, but it is a beautiful shade anyway. It does transfer to cups when drinking, but there was no need for me to re-apply during the day. HOLD LIVE MARBLE VELVET MATTE LIPSTICK has to be my least favourite out of all the products shown in this post. 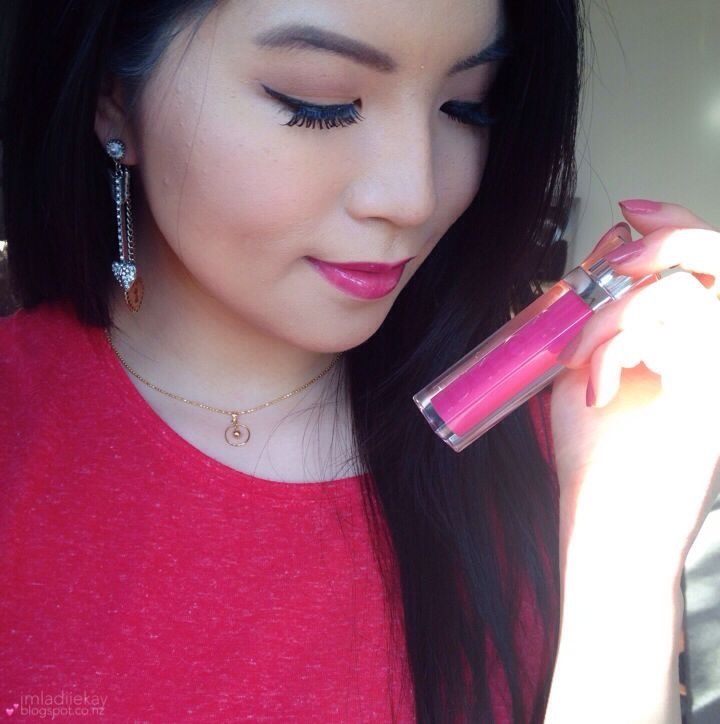 I initially liked it, I love the color and the formula is very lightweight. As with all matte liquid lipsticks you are expecting it to dry down completely right?! Well, upon my first application I did applied lip balms before-hand and the formula becomes oily as expected. I was on my way to work that day and I fell asleep on the bus, then I woke up an hour later with the lipstick smeared all over face and I thought that was the cause of the lip balm. At that point I still liked it and I was willing to give it a second chance. 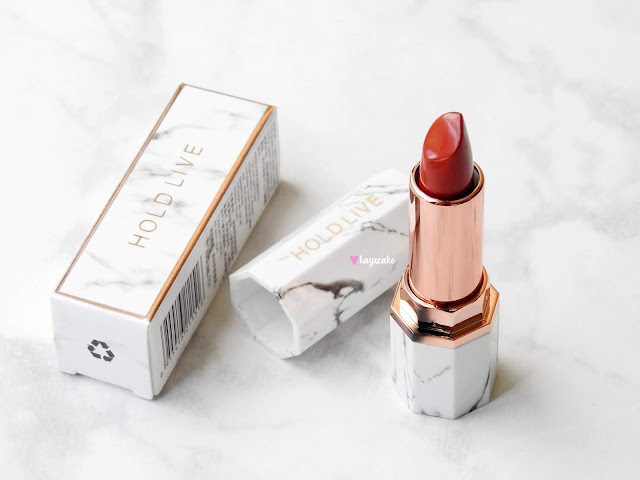 During the day, the lip color did transfer to cups and food and after lunch I re-applied, my lips were completely dried, no lip balms or anything and after my second application I thought, this is it, I love this lipstick! It's absolutely gorgeous! Then on my way home, I fell asleep again and of course, I woke up with lipstick smeared all over my face, AGAIN! 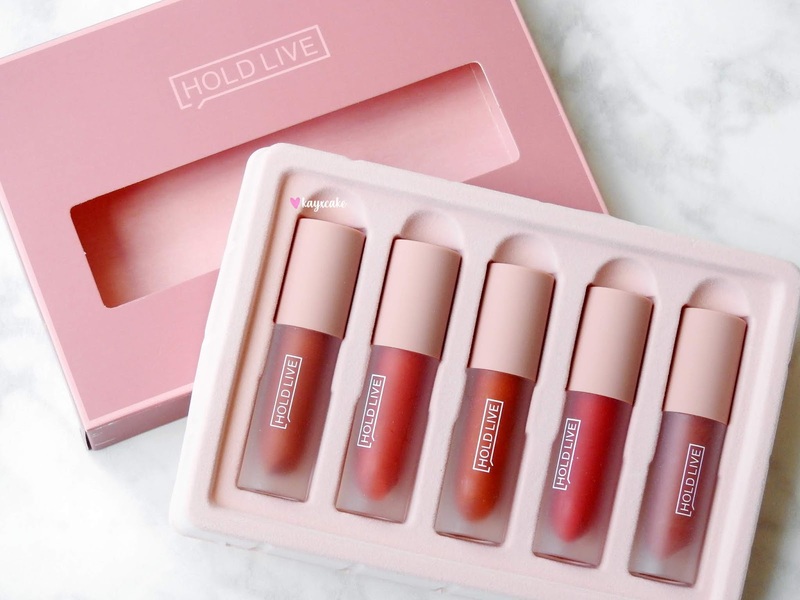 HOLD LIVE MATTE LIP GLAZE SET is one of the most popular products from the brand. 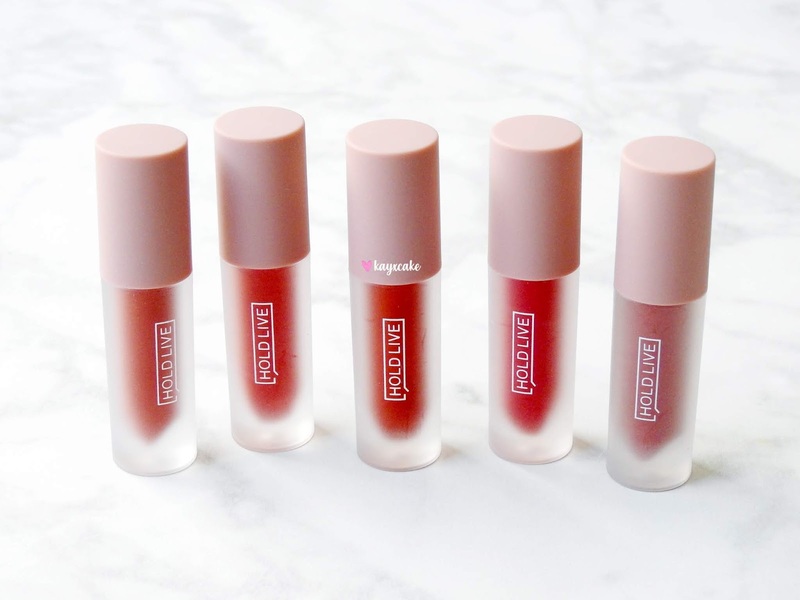 The set contains five liquid lipsticks that are described as lightweight with a smooth matte texture and long lasting color. 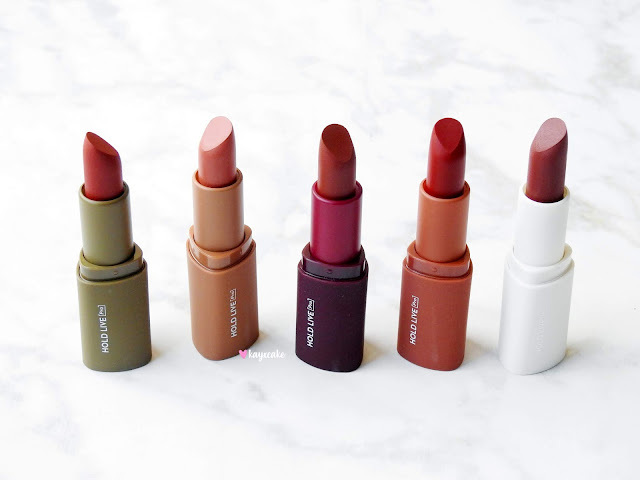 It contains shades like #501 brown red, #502 orange red, #503 tomatoe red, #504 fancy ruby which claims to be a dupe for Fenty Beauty's Stunna Lip Paint in shade Uncensored and #505 choco jam and it claims to be a dupe for Giorgio Armani's Lip Maestro in shade 200. I have only tried the shade #501 and I love it! The set has a very strong jasmine perfume scent that can be a bit over-powering for some, but the smell fades as soon as you apply the lip product. The lipstick does transfer to cups but it last literally all day and I mean more than 12 hours. 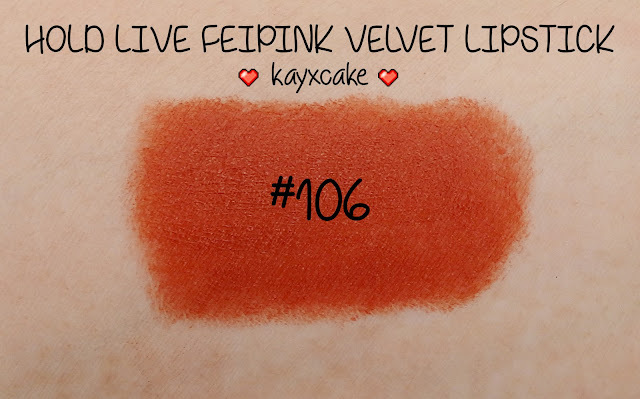 It's matte but it doesn't feel dry during wear, it's neither moisturising, but it feels comfortable and the color is so gorgeous! 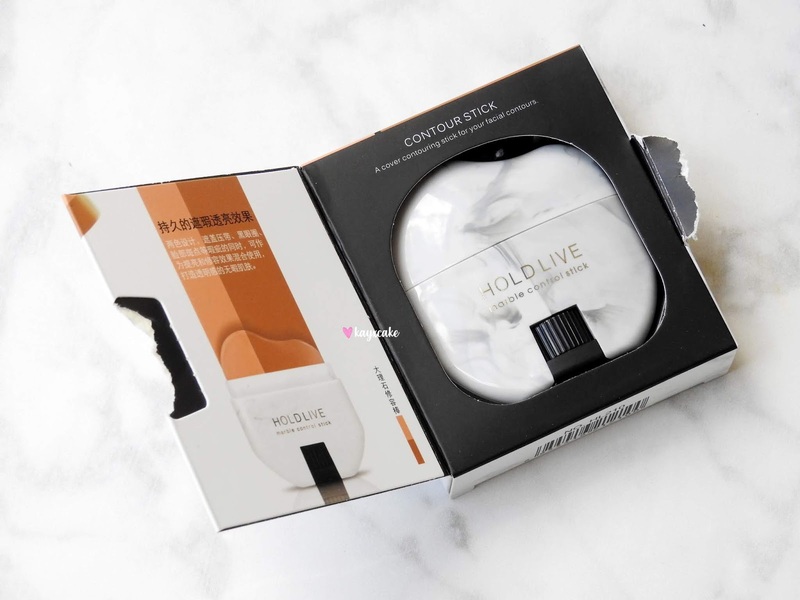 HOLD LIVE MOUSSE VELVET LIPSTICK SET is also one of the brand's best selling product. The set consist of five matte lipsticks in beautiful shades and the formula is described as velvety, lightweight and lasting moisturising. 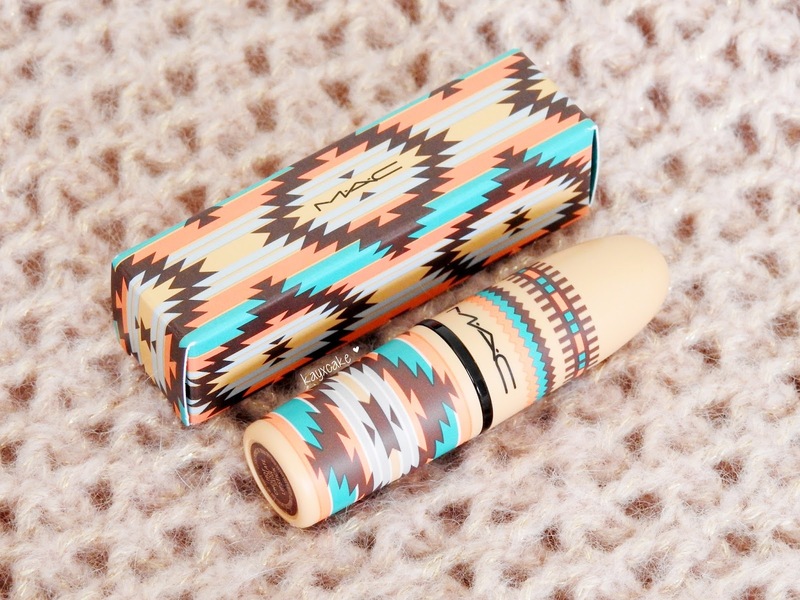 Think MAC Powder Kiss Lipstick in a more affordable and longer lasting version, this is exactly it. #316 is the only one I have tried so far, I love the color and the formula is very comfortable to wear. I had Dante's Pizza for lunch that day, it's delicious, but it's greasy and we all know that matte formulas can't handle greasy oily things, but this one stays all day. I didn't have to re-apply after lunch and it stayed on throughout the 11 hours I was out. So impressive right?! 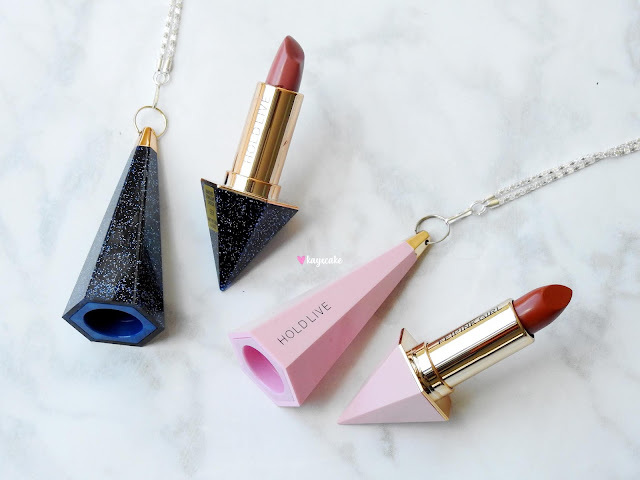 The only negative thing I would say about these lipsticks is that they break so easily and I'm not sure if it has something to do with the climate. It's currently winter in China, I heard that it's very very cold and while in New Zealand we are still in summer and it's very hot. The breakage has nothing to do with the delivery as they break while I was doing the arm swatches. 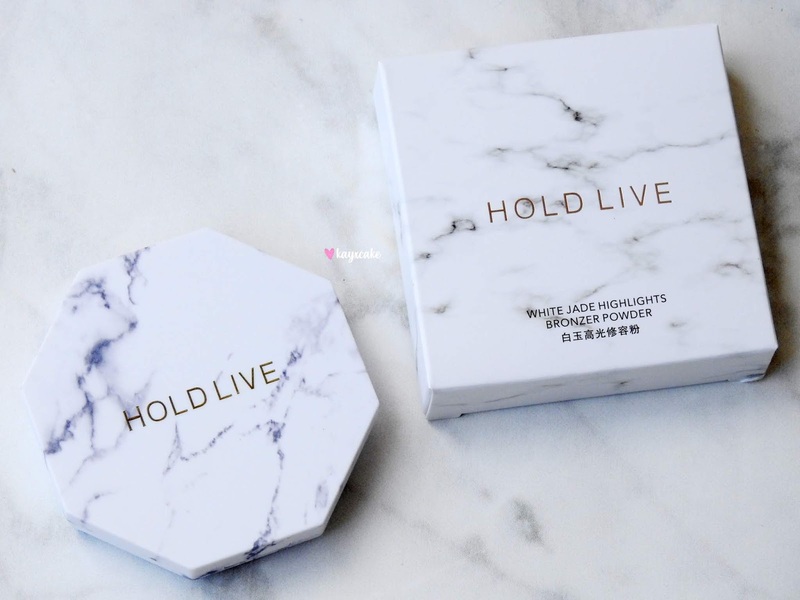 have to tried the brand Hold Live Cosmetics?